Here you will find information about sold homes in Utah County. 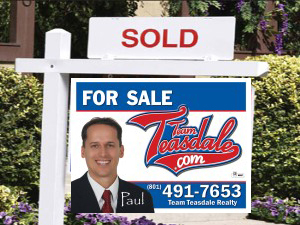 Paul Teasdale of Team Teasdale Realy has gathered data and research from the Utah County Association of Realtors about the sold homes in Utah County. This data is realating to all homes sold by Realtors in Utah County over the past decade. The graphs show how many homes have sold in each city. Definition: When working with sellers to determine a listing price or with buyers to check value before offers to purchase, real estate agents do what is known as a comparative market analysis, or CMA. By going to sold property records, the real estate professional selects recently sold properties that are similar to the subject property and in the same area. By comparing these properties, and adjusting for feature differences, an estimate of value is made for the subject property. A thorough CMA would also include comparison to currently listed similar properties in the area. This would allow an assessment of the current competition and might lead to an increase or decrease in the estimate based on the sold properties. If you are interested in how much your current home or rental property is worth we can help you. Paul will prepare a 15 page CMA (comparative market analysis) on your homes current value. We will compare your home to other sold homes in your neighborhood. Paul can also come to your home and give you his opinion about resale. This visit and the CMA is completely free without obligation. If you would like a free CMA complete this request form: FREE CMA for a Utah County Home.